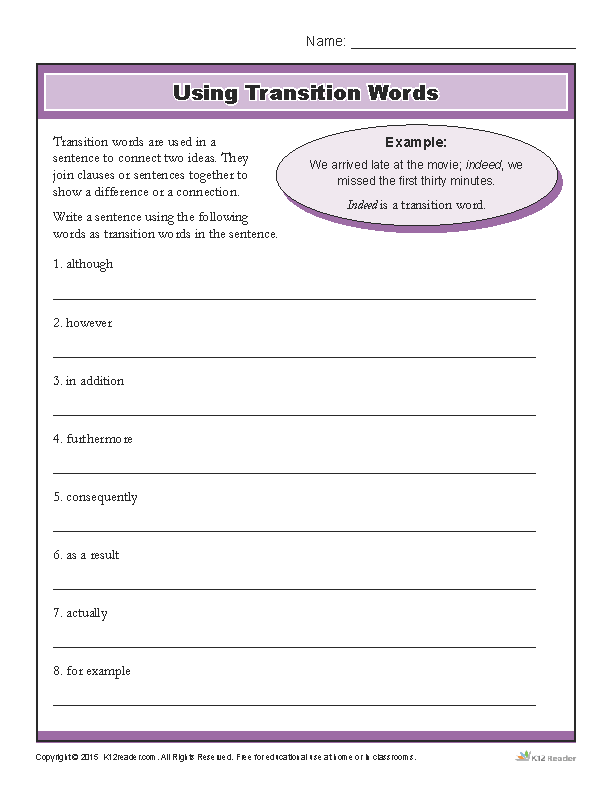 This activity is best used when students have completed a few other transition word worksheets so they are comfortable with the idea. In this activity, a transition word is provided and students write a sentence with the word. Ideal for middle school.